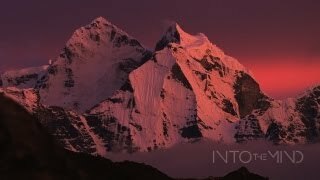 From the creators of the award winning film "All.I.Can", Sherpas Cinema is proud to present their newest feature film, Into The Mind. With stunning cinematography and groundbreaking storytelling techniques, the Sherpas blur the lines between dream state and reality, and immerse you into the mind of a common skier as he attempts to climb and ski the ultimate mountain. Innovative athlete segments are actually a glimpse into his dreamscape, each one harbouring messages that help inform our hero's current, real-life choices. As you experience the majesty of Alaska, Bolivia, the Himalaya and beyond, Into the Mind paints a philosophical portrait of human kind. How do we balance risk versus reward? Why are we inspired to rise to the challenges in our lives and what do we learn on this journey to attain them?